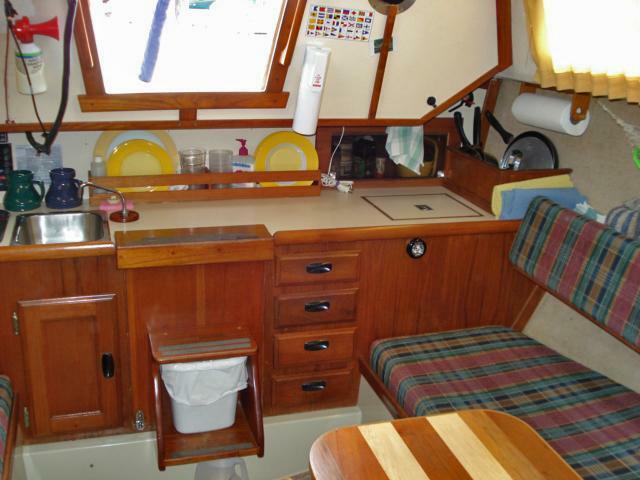 27' Sailboat with spacious interior. Recently surveyed (in great shape) with new zincs . Head with holding tank and sink. Furler for Genoa, Jib, Spinnaker and Spinnaker pole, and Mainsail. Lowrance Depth Sounder/Fish Finder, Garmin GPS, 2nd depth sounder, Marine AM/FM/USB stereo, VHF radio. Full lighting with cabin lights, anchor light, and navigational lights. The Cal 2-27 was designed for the Northwest and Gulf Islands by Bill Lapworth (Naval Engineer) and was the precursor to the Catalina series. It has 6'2" headroom in the salon (two berths), plus a double V-Berth with the same headroom. The galley is laid out across the beam at the stern allowing for a very spacious salon. This boat has been well taken care of and was previously owned by the president of the Cal Owners group. This is a sturdy, safe and fun to sail boat that easily accomodates a family of four or a couple. You won't find this quality and functional space at this price. Located at Page Point Marina near Ladysmith/Cedar on Vancouver Island.